Plasma electrolytic oxidation has been in existence for several decades. It’s a method that involves submerging a metal part in an electrolyte and then applying a high electrical potential to form a hard protective surface. 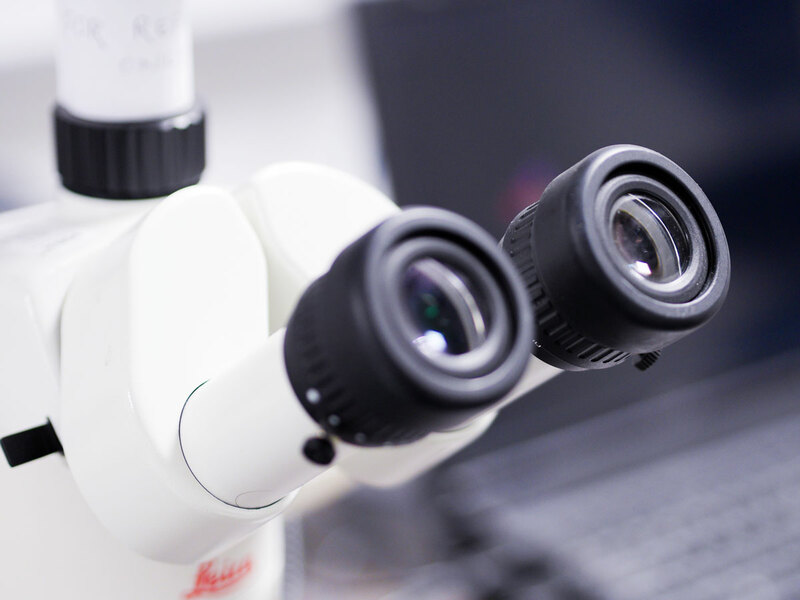 The science might sound simple enough, but there are many variables involved in a successful PEO treatment. 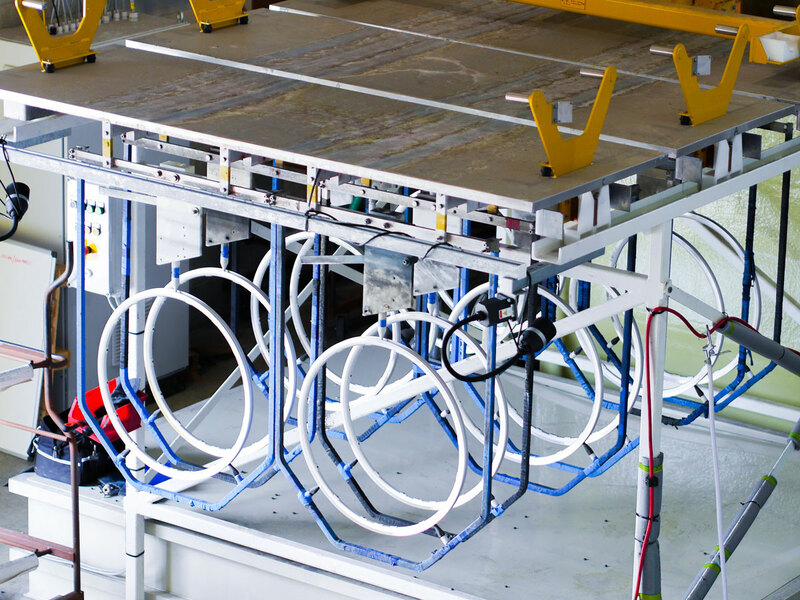 These variables not only alter the characteristics of the coating, but are crucial considerations for actually deploying the treatment at scale, in a mass-production environment. Demonstrating that the science can pass a laboratory bench test is a certainly a big challenge. But proving that the same process can be performed consistently across thousands of parts is a much greater hurdle. In this article, we’re going to take a look at the complete PEO process from an industrial point of view. This is the same process used by some of the biggest manufacturers in the world to treat a huge variety of different metal components. The PEO process doesn’t start with placing a component in an electrolytic bath. And it doesn’t end when the surface of the component has been oxidised. Plasma electrolytic oxidation is actually a carefully calibrated five-stage operation. The first stage in the PEO process is the most crucial. During ‘engagement’, as much information as possible should be gathered about the entire project. Speaking to a materials scientist at the outset of a project mitigates the chance of issues occurring that could radically alter a component at a later stage (when changes are inevitably more expensive). The choice of PEO as a surface treatment can actually have a direct bearing on the design of a part. It therefore needs to be factored in to the entire design process. Here’s a very simple example: PEO can produce a surface hardness that is up 400% of that of an anodised part whilst exhibiting a very high strain tolerance. This often means that steel can be swapped out for a much lighter metal, such as aluminium, magnesium or titanium. Choice of metal could potentially alter the entire profile — and manufacture method — of a component at the design stage. Once the two parties have engaged one another, component designers and PEO specialists work together to develop a solution in the lab. A huge number of variables can be adjusted for differing end results. 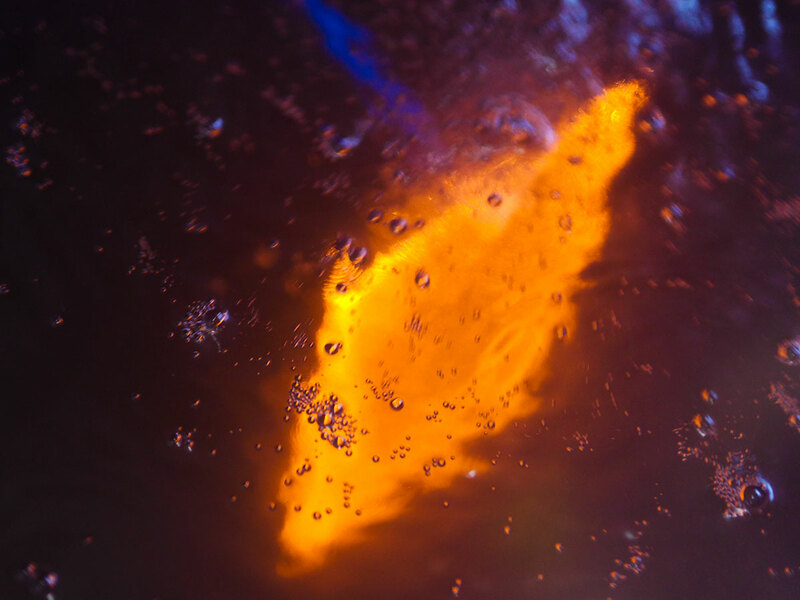 During PEO, a component is submerged in an electrolytic bath. The specific composition of the electrolytic solution can have a huge impact upon the finished result. Elements of the electrolyte are incorporated into the final coating. The specific chemistry used, can, for example, radically alter the hardness of the treated component, and affect many other properties. Prior to submersion, a metal part needs to be cleaned and prepared. Again, this can have a bearing upon final results. Interestingly, PEO can allow for a much less rigorous preparation process in comparison to anodisation. This can aid cost and speed of industrialisation at scale. Once the part is immersed in an electrolyte bath, an electric current is applied, oxidising the surface, generating plasma and forming the protective ceramic coating. Varying both time and level of electrical potential applied will radically alter the protective surface thickness and characteristics. Depending upon the specification required, additional treatments and sealants may be applied to the component surface. PEO can create a very effective ‘key’ for an additional surface (for example a powder coat) to bind to. One unique benefit of PEO over other processes is that it does not employ the use of metals such as nickel, cobalt and chromium, which can result in the production of hazardous chemicals. Electrolytic baths are chemically benign aqueous solutions and are therefore very safely disposed of. 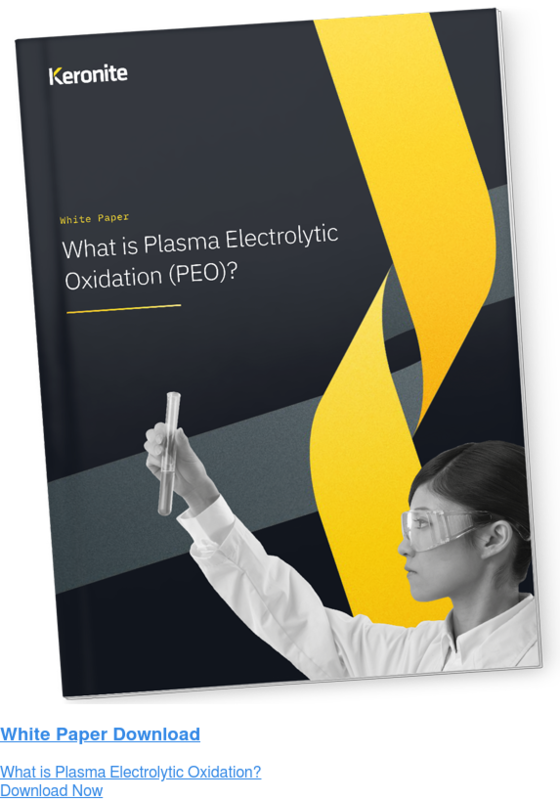 For a more in-depth guide, check out our article ‘What is plasma electrolytic oxidation’. During industrialisation, we are generally trying to maximise the surface area that is coated during each operation whilst balancing the total process time. We also take into account both the pre and post coating operation timings to arrive at the optimum commercial solution. 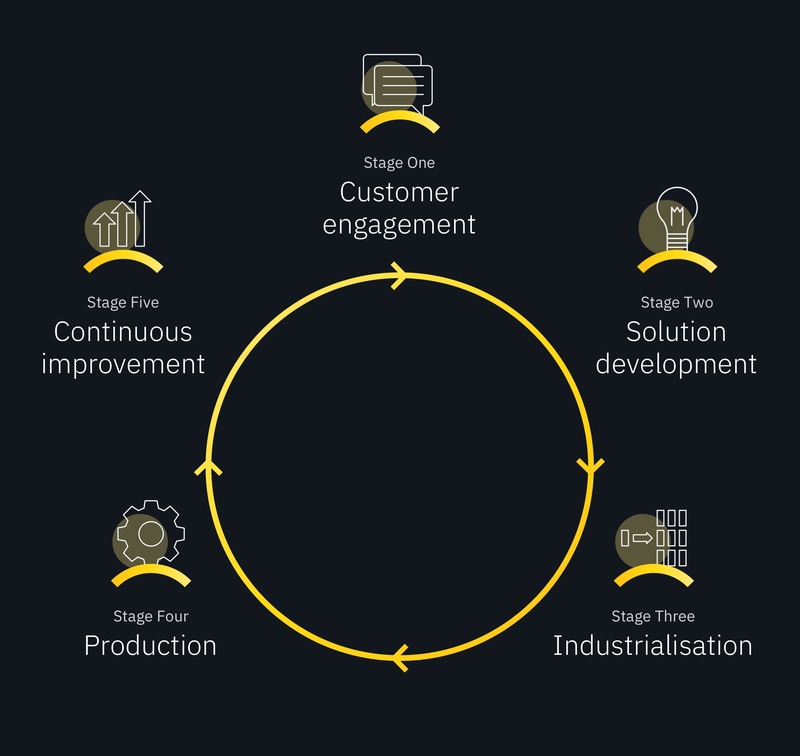 The industrialisation stage can involve re-visiting the design of the component in order to match cost and production compromises. This could include something as simple as adjusting the shape and size of a part could be to allow it to fit into a smaller electrolyte bath. In another example, the engineers at Keronite were recently working on a very small and intricate part. They found that they need to boost the voltage to ensure that the whole component was covered consistently at scale. This wasn’t an issue when the solution was first developed in the lab. As an alternative option, it might be suggested that the complexity of the part is reduced. It’s worth reiterating here that the PEO process is not confined to a laboratory. It must encompass industrial concerns to take a component from concept design to mass production. Once a practical industrial solution has been identified, it’s time to go to production. Keronite actually applies PEO to parts in our on-site manufacturing facilities in North America and the United Kingdom. We also work with several international partners to ensure the highest production levels, high yields and quick turnaround times. How quickly can parts be turned around? What about delivery and logistics? Is production delivered at a consistent quality? How do we deal with waste? The PEO process doesn’t end after parts have been through production. At Keronite we employ procedures that ensure we’re constantly improving our process for a given component. This continuous iteration might mean that we adjust processing parameters to boost the performance of a surface treatment. 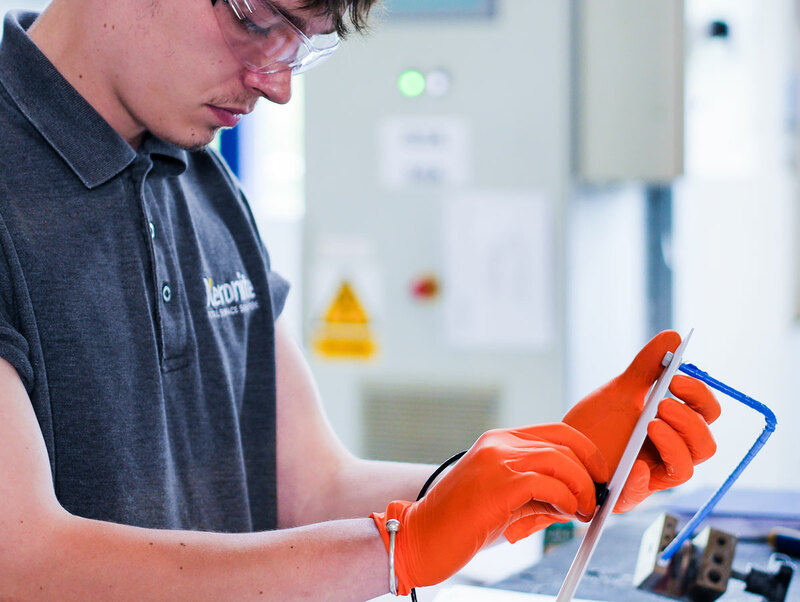 Or it might mean that we are able to make the production process more efficient, effectively reducing lead times and the component’s overall cost. Hopefully this article illustrates that PEO is not a simple scientific procedure. The PEO processes matches industrial production concerns with performance desires to create surface treatments that are viable for use at huge scale. It’s not a theory, it’s a solution. As always, if you need to speak to an expert about a project where PEO might provide a strong solution, don’t hesitate to get in touch with the team at Keronite.